*Due to high demand, a 24 hour cancellation is requested for all 30 min and 1 hour massages. 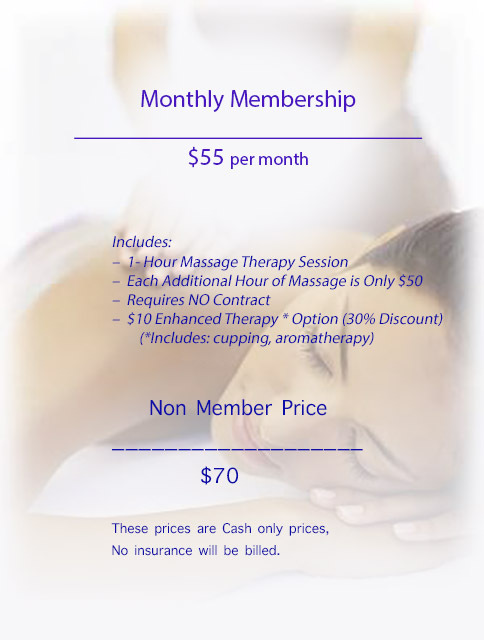 If you cannot cancel 24 hours prior to your appointment, there will be a $25 fee for the 30 minute massages or a $35 fee for 60 minute massages applied. We thank you for your understanding.